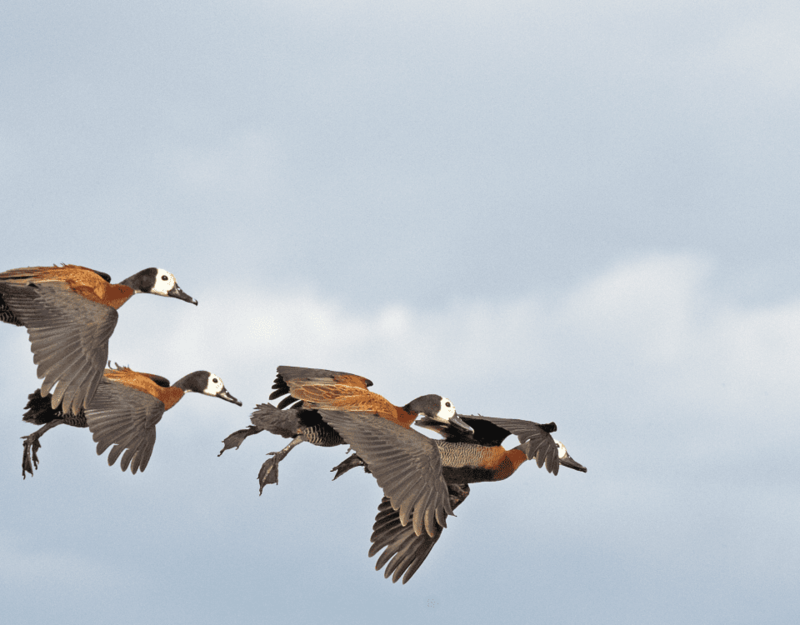 | This article was first published in the Flamingo October 2008 issue. 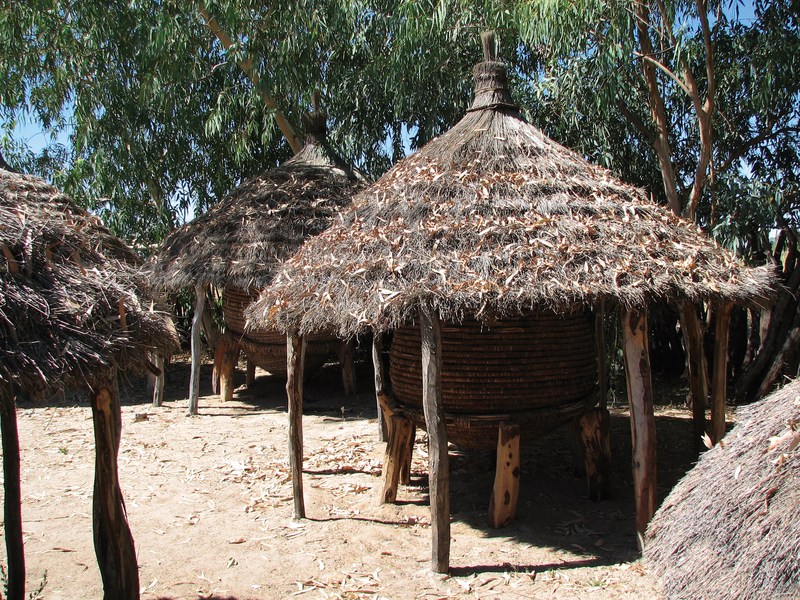 Worlds apart from European palaces, Uukwaluudhi Royal Homestead in Tsandi, north-central Namibia, is an African-style palace. 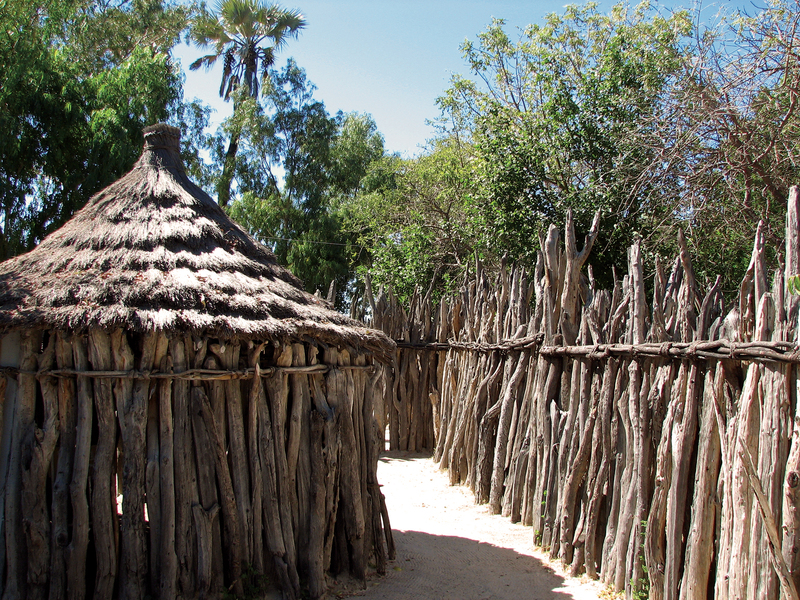 The former home of King Josia Shikongo Taapopi is a typical Owambo homestead, surrounded by a mopane-pole palisade with various huts located inside. Because of its royal inhabitants, however, it is enlarged to accommodate the king, his family and guests, his ombala (palace) reflecting his wealth and position in the community. M aking up one of the seven Owambo-speaking groups in Namibia, Uukwaluudi is one of four that still has royal representation. King tatekulu (father), Josia Shikongo Taapopi, is the twelfth king of the Uukwaluudhi and the only one who didn’t have to fight for his throne. He was appointed by his uncle King Mwaala, who reigned for 50 years, the royal lineage extending through the matrilineal line. When a homestead with modern brick-buildings was constructed next to the traditional homestead in 1978, the king and his family moved over, allowing visitors to access the former royal home. Guided tours take approximately 1½ hours and begin with the large front yard of the homestead, used as a reception area for people visiting the kingdom. The mopane-pole palisade surrounding the homestead is an impressive wooden barrier and each of the 36 sections of the homestead is encircled by the same wooden fence. Each section has a specific function and passages connect the various parts in a labyrinth of pathways, their original purpose meant to deter enemies and wild animals. The main entrance is an unassuming ‘Y’ fork in the palisade, with a branch acting as a step. The various areas include a section for the boys of the kingdom with a storage hut, a place for warriors to gather before battle or cattle-raids, various ooshoto (reception areas) with tree trunks to sit on surrounding a central fire, areas for junior and senior headmen and for the king and queen. A section called king’s shade has bird-plum trees with the small sweet eembe fruit and mustard or salvadora bushes providing a retreat from the hot sun. The royal sleeping quarters has an alternate sleeping hut with gaps in the wood for air circulation on warmer nights. 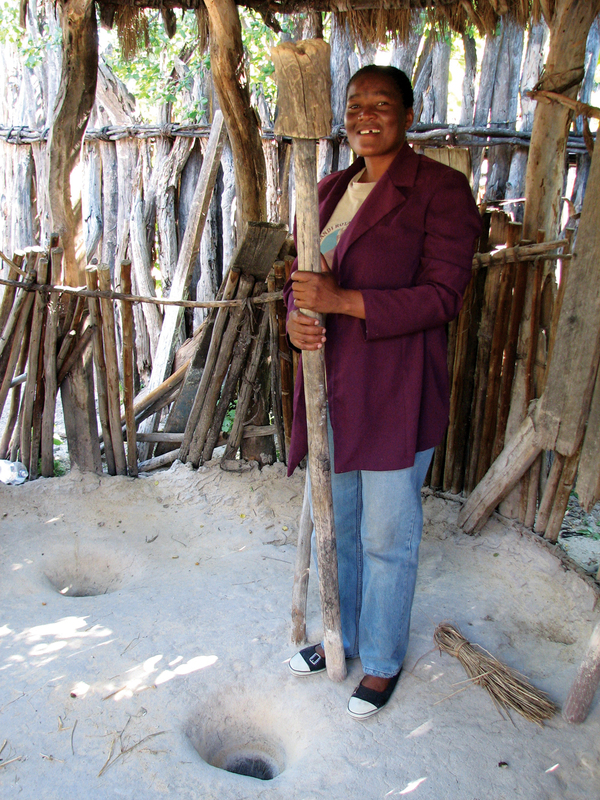 The homestead also includes a traditional clinic, a granary with large grain baskets called eshisha, a milk section consisting of a large calabash held in a stand to churn the milk, a kitchen with old clay pots used to balance a cooking pot over the fire and a pounding area where mortars are embedded in a clay floor, the grain pounded using heavy wooden pestles. The main reception area where the king and queen would receive guests was also used for important occasions such as hosting the official beginning of the marula season. The guests to this area were shown how to greet the king by moving forward on their knees, and shaking hands, holding the right elbow with the left hand and greeting the king with the respectful name ‘tate kulu’. If not possible to kneel, a head nod with the handshake and greeting would suffice, and for the woman, a knee-bend curtsy. Walking back through the maze of fences and huts, you are quite relieved to be accompanied by a guide. Eventually you find yourself back at the ‘Y’ fork in the palisade for the short walk back to the entrance and reception area where the cattle enclosure (or kraal) is visible at the edge of the homestead, with bright sunflowers growing against the coarse wood. 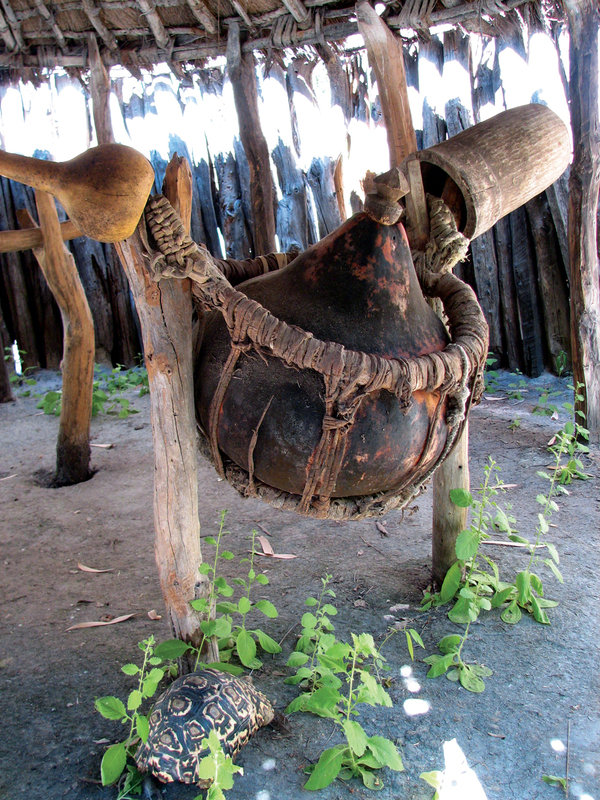 The royal homestead offers a unique cultural experience, incorporating the customs, beliefs and accommodation style of the Owambo-speaking people into the royal residence. Times have changed, however. On leaving, I catch sight of the queen as she drives past on her way home from her teaching job at the local school, bringing a human and contemporary touch to the royal visit.